Book 19 of 28 read on my holiday to Cyprus in June 2018. Dark and treacherous is the best way to describe this story, as it take in some of the dark side, thankfully not in too much gory detail! The story is told in the sections from the points of view of The Missing, The Detective and The Vigilante. At times I did wonder if or how or when there would be an crossover of stories, so although I was looking out for it when everything came together it was rather satisfying. In terms of the detective and the vigilante, their two ways of approaching their investigations are really different and what did make me laugh is the level of political correctness being used in the police force! This is a fast paced, edge of you seat thriller, where you are never completely sure what the outcome will be, or just what the motives are either. Into the Darkness is another cracking book from Sibel Hodge, and one that I'm sure will disturb my dreams tonight! Thank you to Netgalley and Thomas and Mercer for this copy which I have reviewed honestly and voluntarily. As you will know, if you have been following me over the past three years, it is incredibly rare for me to write a personal post of any sort, unless I'm talking about holidays, but after I received an email earlier this afternoon I have been compelled to reach out to the book community. For earlier this evening I discovered that my inspirational headmistress while I was at school, Bernice McCabe, OBE, has been diagnosed with the same incurable brain cancer that took Tessa Jowell earlier this year. The school I went to was superb, and has many successful alumnae, including in the world of books, Jane Corry (whose books I love), and Gillian Cross, plus those across all fields. From the headmistress down it was a school that supported its girls in all of their academic and extra-curricular pursuits. I will always recall the last day I was in school, for the Valedictory Assembly, I was sitting on the desks in a year 7 classroom, waiting for the bell to ring, so I could say good bye to the class that I had been a form assistant to in that last year, when Mrs McCabe walked in. I feared I was going to be told off for sitting on a desk, but instead was astounded when not only did I discover she knew my name, but was letting me know that I was getting a prize for services to the school, which of course delighted me. And meant I felt even worse when a couple of months later the A-Level results were in and I didn't achieve what was expected. I think this feeling of failure towards Mrs McCabe and the school has stuck with me through the years, so when I had an email from another old girl of the school, with this heart breaking news about such a wonderful woman, I knew I had to act,.. I am currently studying at Princeton University in the US, however I have taken some time away in London to fundraise as sadly the headmistress of my school, Bernice McCabe OBE, has been diagnosed with brain cancer. (https://www.standard.co.uk/…/leading-headteacher-bernice-mc…)We are extremely close as I was her Head Girl in the year she left the school (2016) and she has been my greatest role model and mentor. Bernice has inspired the philosophies and ethics which continue to shape not just my life, but the lives of thousands of girls who flourished under her guidance. Bernice was able to receive a significant life-extending drug, Ipilimumab, privately at University College London Hospital. However, many who do not have private care, cannot access this important treatment. Bernice's oncologist, Dr Paul Mullholland, has been given the go-ahead to begin some immunotherapy trials which could mean the biggest brain cancer breakthrough in decades and the availability of this drug on the NHS. The National Brain Appeal has committed to raise £250,000 and Bernice has made it her mission to help achieve this amount. I am helping her by silent auction in London in late October. It would mean the world to me and so many schoolgirls who are desperate to help the cause in honour of Bernice, if you were to provide a lot to be auctioned for the event. Ideally we are looking for “money-can’t-buy” goods or experiences, but anything you might be able to offer would be very gratefully received! The money raised will not only be a tribute to Bernice’s struggle, but also to Tessa Jowell and the countless other sufferers of brain cancer in the UK. The auction is scheduled to go live on the 14th October - but this is a flexible date and we may still add lots past it. If you are able to help, please do contact Grace on glink@princeton.edu and together lets see if we can make a difference to people's lives. And since hearing the news I have found this rather wonderful article too, written by Bernice McCabe herself, so I will leave you with that. Thanks for reading this far and I really hope that even if you can't help you can share this with someone that you feel may be able to. 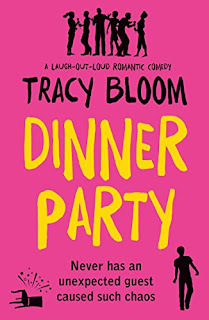 This is Tracy Bloom at her best - funny, real people, fabulous situations and a hook that kept me intrigued until the end. Who would have predicted that introducing one stranger as an act of kindness into an established group of friends, would have such far reaching consequences. The three couples are friends due to the women Beth, Sarah and Marie who have known each other since school. The husbands, Chris, Tony and Duncan tolerate each other for the sake of the women. When Chris announces last minute that he has invited Simon to one of their regular dinner parties, its sets off a chain reaction of events that had me gripped. Each chapter focuses on a different character, but at the end of each chapter there are what appears to be an ongoing interview between a journalist and members of the group - and it was those that had me intrigued first. I had to know why there was a journalist and from the hints in the answers to the questions, just what happened, as its clear something large occurred at one party but that is all I am saying on the matter. Then there is Marie's health and fitness obsession, Beth who really needs to believe in herself more, Dunan who has a great way of training new staff where he works, and Sarah who seems stuck in a rut. Each so different but their dinner parties in the past apparently have worked. There are many laugh out loud moments and all the characters are just to realistic. The odds are you have met one or two of them yourself. 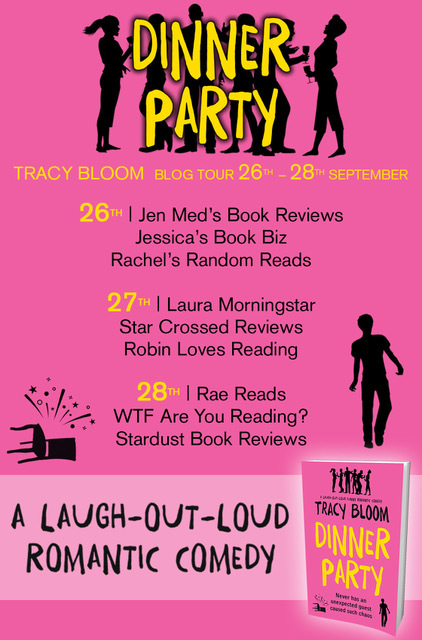 For this is what Tracy Bloom does best, adds hilarity into situations involving just regular, believable people. 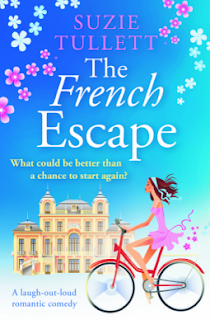 I loved every second of this fabulous book, its just a shame I had to reach the end. 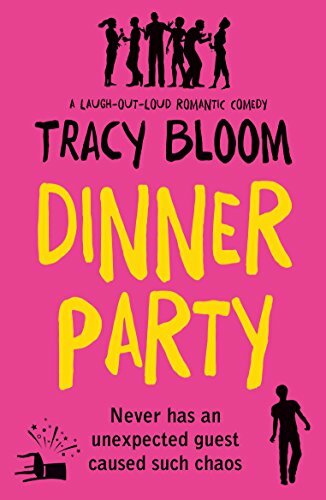 If you are looking for something fun, light hearted and purely entertaining then read Dinner Party! All consuming, utterly gripping story about a couple coming to terms with the sudden loss of their child, while at sea on day, in Bermuda. I could barely put the book down as the writing is so good, and it just drew me in and wouldn't let me know. 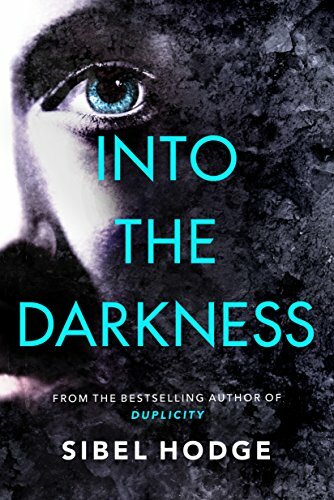 However unlike other books by this author, I just didn't quite connect properly with the subject and the characters and I can only think that is because we didn't really get to see Oscar alive and connect to him before the tragedy, so its harder to feel his loss for yourself. We do get to know Oscar a bit through reminisces but given the book is all about his death and those coping with it, I was surprised that I didn't feel anything towards him, especially given I normally love child characters in books. What I loved were the letters that Cee-Cee, their housekeeper was writing to Rachel, to help her with her grief and through them we learn about Cee-Cee's own life and her heartbreak. I started to warm to Rachel once the complete despair stage was a bit lesser and watching her slowly come to terms with her new life and situation is rather inspiring. I am sure that if you are going through a similar situation and were in a position to read this, then it would give you some comfort, and hope. Equally those that have unfortunately lived through what Rachel and James do, may connect to this book a lot more than I did. That being said I was unable to tear myself away, I had to read it in a few hours, in long stints, and wasn't really aware of what was going on around me. 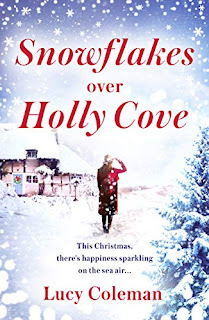 I didn't find it emotional, but it was interesting and the topic is dealt with, with Amanda Prowse's typical levels of details warmth and sensitivity. This ia a great book and if you are new to the author it will certainly give you a fabulous idea of what she is capable of. Thank you to Netgalley and Lake Union Publishing for this copy which I have reviewed honestly and voluntarily. What a charming story, which kept me entertained from start to finish. I loved getting to discover the Gower Coast an in particular Holly Cove which sounded lovely. I enjoyed getting to know the locals to the area, especially Max and Nic. I especially was interested in both Tia's friendships between Max and also Nic, and she was gaining different things from both men. Tia is still coming to terms with the loss of her mother, but through it there is a silver lining, she is back in touch with her brother, and may start getting to know her estranged niece. 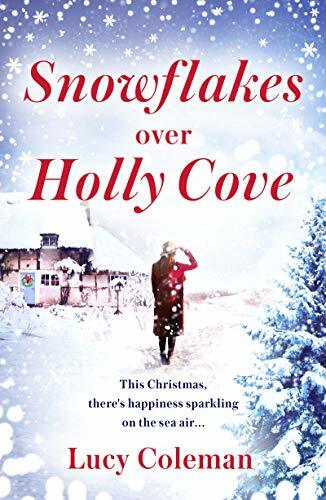 This whole book had a lovely heartwarming feel to it, and although its predominately set throughout the year, it does a bit of a festive slant to it, with Tia writing articles for the November, December and January issues of the magazine she writes for in the early summer. The various couples she interviews are all interesting and I liked how Tia was able to draw people into her, and get them chatting. This does mean the book doesn't need to be saved for when you are doing your Christmas reading and can easily be enjoyed year round. There were plenty of unexpected moments in the book which kept me wondering whether I had missed any vital clues. Plenty of secrets to uncover and there is a scene of high drama that me on the edge of my seat. 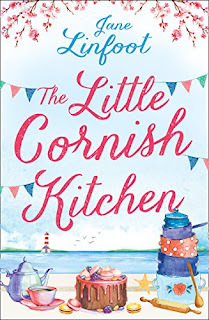 It is a very enjoyable read and I look forward to more from Lucy Coleman in the future. 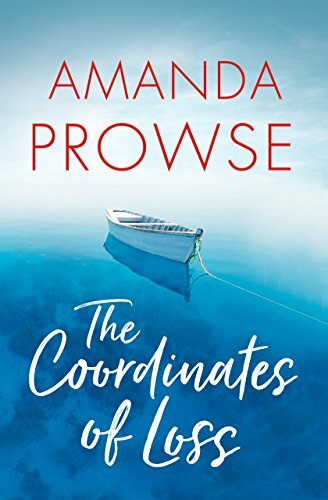 Book 18 of 28 read on my holiday to Cyprus in June 2018. 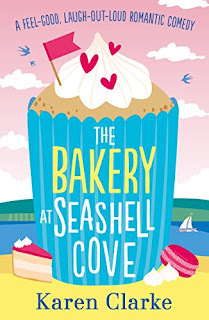 Well I was craving macarons in the first few pages, and then moved onto sorbets, meringues, chocolate and more. To say this book is a treat for the tastebuds would be an understatement. If this book doesn't make you incredibly hungry as you read it I would be surprised. 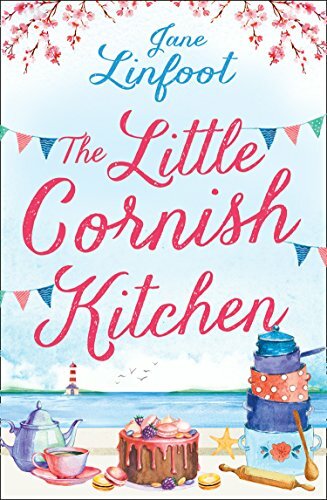 Even with a new cast of characters I loved being back in St. Aidan which the author has used for some of her previous books, and is a gorgeous Cornish setting. I loved everything to do with Clemmie's story, from the not knowing her father, to learning to cook to all of her fellow mermaids (friends). In fact I loved every second of this marvellous story. What a joy to read. Book 17 of 28 read on my holiday to Cyprus in June 2018. Love is in the air in the little village of Welford . . .
Mandy Hope is on cloud nine. Hope Meadows, the animal rescue and rehabilitation centre she founded, is going really well. And she's growing ever closer to handsome villager Jimmy Marsh. What's more, James Hunter, her best friend, is slowly learning to re-embrace life after facing tragedy. But when an unexpected crisis causes Mandy to lose confidence in her veterinary skills, it's a huge blow. If she can't learn to forgive herself, then her relationship with Jimmy, and the future of Hope Meadows, may be in danger. 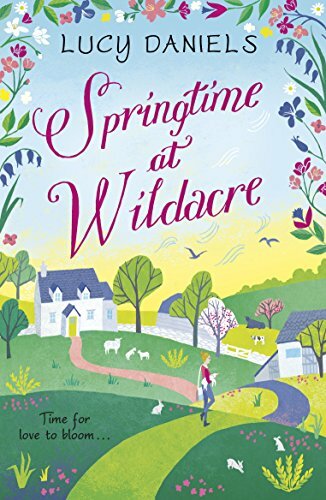 It'll take friendship, love, community spirit - and one elephant with very bad teeth - to remind Mandy and her fellow villagers that springtime in Yorkshire really is the most glorious time of the year. 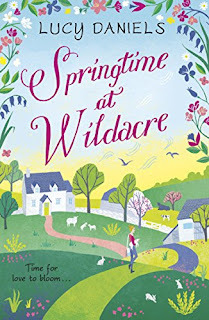 Such a joy to be back amongst friends in this new book in the Hope Meadows series. I absolutely lover the direction this book has taken the story in, and meeting a new array of animals, from squirrels to well lets just say something just a tad larger than a squirrel towards the end! Since this is the third book in a series there are plenty of story line continuing from the previous books, which is always good to see. One of the main new plots was seeing how Mandy would get on meeting Jimmy's twins as they do need to get along if there is any hope of their relationship continuing. In fact between Jimmy and best friend of Mandy's James, most of the major story threads seemed to involve them. Good thing I enjoy both of their characters. There were definitely some emotional moments in this, but also some cute and funny ones too. 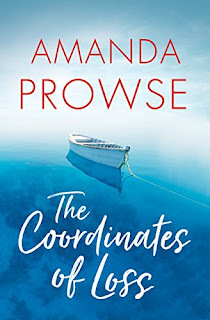 I love this author and her writing, and I love Hope Meadows and Animal Ark and am already eagerly awaiting the next installment. Thank you to Hodder and Stoughton for this copy which I have reviewed honestly and voluntarily. Oh not it isn't - I hear you cry! Oh yes it is! - or at least it feel like it having just read The Perfect Fit. 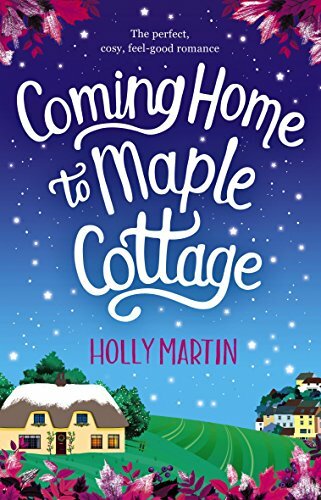 If you are a fan of the good old British tradition of a pantomime, then you will love this book as putting on a panto to save a village hally is exactly what this book is all about. The real life situations of Becky and the cast are mirroring the fairytale ones where reality and fiction can become blurred. All of my favourite sections revolve around the panto, the writing sessions between Becky and Marcus, full of innuendo and groan worthy jokes. The sections of the script we see read and sound just like any panto I've seen, with the right mix between child friendly and hilarious for an adult too. They also I was glad to see were inserting all the key elements of a panto - song and dance numbers, a messy scene with custard pies and the like, audience participation and generally a feeling of a fabulous night out. The book opens with Becky taking her niece Pip to a panto, and seeing it through the eyes of a 5 year old really set the tone for the book. 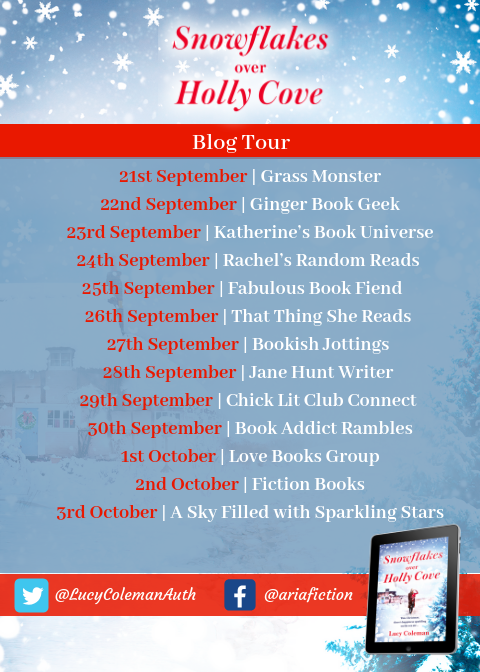 If you have read the previous book in the Love in the Dales series, then like me you will be delighted to see a whole host of very familiar faces, even if as the story progresses you are seeing them in a completely new light! It does work as a standalone though, so if you haven't read the first book don't worry you won't be at a disadvantage. There are some plot lines that address all manner of topics some far more frivolous than others and this really is a feel good read that will make you keen for the festive season to start without it being a Christmassy book. 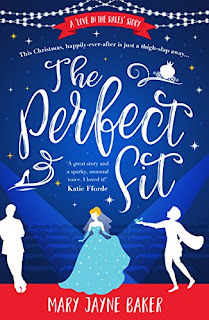 In fact the story takes place over a year and we don't get a proper sense of Christmas, so although its very panto-centric, its a really pleasurable book to read year round! So slap your thigh, unleash your inner child and sit back and relax with this joyous book that wil make you groan and also smile, laugh, believe in magic and fairy tales and generally feel like you have had a good night out at the local panto. Thoroughly gripping story that by the last quarter had me on the edge of my seat while I saw how everything unfurled. To start with this feels like a nice reasonably gentle women's fiction novel, about a couple who are having a baby, but the father is rather reluctant, and the mother is fearing for her job while she is on maternity leave. All issues that people face on a regular basis. However it soon becomes apparent that there is something just isn't quite right with Emma, the temp, yes she is amazing at her job but I found it hard to warm to her. I wasn't too keen on her parents either who just didn't understand their daughter. 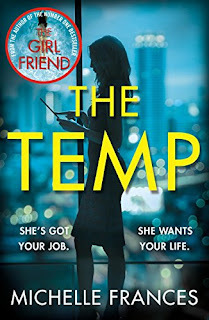 As events unfold, the tension ramps up, and its becomes a more compelling read, and slightly unsettling, as everything was a bit too realistic and easy to believe! With each chapter, the focus was on a different character, so we did get to know all the main protagonists, especially Carrie and Emma very well. I'm not sure how much I particularly liked anyone apart from Carrie who I did enjoy but the others weren't horrible, they were just harder to like, and the reasons do become apparent as you read. This was the first book I have read by the author and I would be tempted to read more. The writing really drew me in and I'm sure accounted to my disturbed sleep, last night! This was a very good book, which for most of the first half I wasn't too surprised by but then the second half ramped it up a notch and I was completely wrong footed with the outcomes.